With fuel prices so high, any dealer with a 2008 Dodge Charger SRT8 in stock should be willing to do just about anything to move that car over the curb. 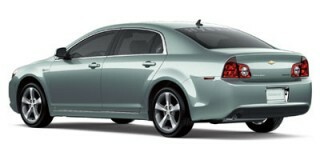 Keep resale values in mind--Dodge's residual values haven't been strong in years past. The 2008 Dodge Charger sedan has plenty of practicality and character--and thirst, with the big HEMI engines. The muscle-car fans at TheCarConnection.com read the latest road tests on the 2008 Dodge Charger to put together this conclusive review. TheCarConnection.com's car experts also drove several Dodge Charger models, including the high-performance SRT8 edition, to provide you with a definitive opinion of this reinvented muscle car. This review also compares the 2008 Dodge Charger with other vehicles in its class to give you the best advice even when other reviews present conflicting opinions. The 2008 Dodge Charger returns for its third model year with a wide range of engines and trim levels to suit vanilla buyers and speed demons alike. 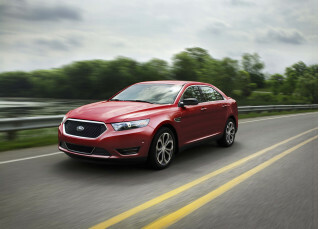 The base engine in the four-door is the SE's 2.7-liter, 178-horsepower V-6. A 3.5-liter, 250-hp V-6 remains available on the SE and the SXT. The 5.7-liter HEMI V-8 remains the standard engine in the R/T, offering 340 hp and six-second 0-60 capability. All-wheel drive is an option on the R/T models. A limited-production Daytona R/T variant continues with a 350-hp version of the 5.7-liter V-8, along with a stiffer suspension, unique styling cues, 3.5-inch exhaust tips, and exclusive paint treatments. At the top of the food chain is the SRT8 version. SRT stands for Chrysler's Street and Racing Technology group, which is responsible for the corporation's highest-performance vehicles, including the Dodge Viper. The 2008 Dodge Charger SRT8 comes with a specially modified 6.1-liter HEMI V-8 that produces 425 hp, enough to propel the five-passenger sedan from 0-60 mph in around five seconds. The multiple experiences experts at TheCarConnection.com have had with the SRT8 on track prove that this is one sedan that knows how to fly. Even with track-ready performance, the Charger SRT8 is comfortable to drive on the street. All 2008 Dodge Chargers get air conditioning, traction and stability control with anti-lock brakes and Brake Assist, as well as a tilt and telescoping steering column, AM/FM stereo with CD player and auxiliary iPod jack, and remote keyless entry. For 2008, the Charger lineup now offers a filter for cabin air; heated front seats; a power passenger seat; dual-zone automatic climate control; express-up and express-down power front windows; and an auto-dimming rearview mirror. This year, an AM/FM/CD player with MP3 capability is standard; audio systems can include the MyGIG hard-drive entertainment package and Sirius Backseat TV. Electronic Stability Programs with all-speed traction control is available or standard on every model. The 2008 Dodge Charger keeps its effortlessly cool shape, a reincarnation of muscle-car hotness that plays well in four-door form. The Charger's dash materials have been upgraded, and the center console has been redesigned. This addresses an area the experts at TheCarConnection.com have contended needed work since the car's introduction. The cup holders have LED lighting, and the seats wear new cloth. Also, the poorly located cruise control stalk has been repositioned to the four o'clock place behind the steering wheel. On the road, all of the above equipment comes together to make for a good driving experience. The 2008 Dodge Charger rides on a chassis developed when Chrysler and Mercedes-Benz were married, and now that the divorce is final, the Charger continues to reap the benefits of the relationship. This sedan handles well and hustles even better. Step up to the 2008 Charger SRT8 and you'll get muscle-car performance of sub-14-second quarter-mile times and a top speed of over 150 mph. The 2008 Dodge Charger isn’t a direct descendant of the original muscle car by the same name—but it’s a sharp-looking sedan nonetheless. Baby boomers with fond memories of the quintessential "muscle cars" of the late 1960s and early 1970s may find some real nostalgic appeal in the 2008 Dodge Charger. Most sources examined by TheCarConnection.com acknowledge the styling influence of the vintage 1970 Charger. According to Car and Driver--which pretty much pans the 2008 Dodge Charger—2008’s version bears almost no resemblance at all. Kelley Blue Book nonetheless considers the 2008 Dodge Charger unique--"unlike so many of today's derivative designs...[it] shows almost no resemblance to any other car on the road." Inside, Edmunds thinks the 2008 Charger’s “interior is more attractive.” Motor Trend suggests that the 2008 Dodge Charger’s "interior provides the feeling of a sophisticated fighter plane cockpit," right down to the instrument cluster and shifter knob that "resembles a fighter pilot's joystick." 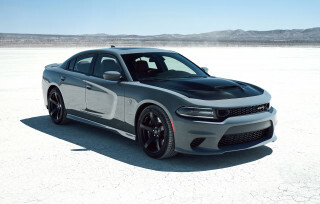 TheCarConnection.com has experienced many different flavors of the Charger. The 2008 Dodge Charger keeps its effortlessly cool shape, a reincarnation of muscle-car hotness that plays well in four-door form. In the Charger, Dodge’s dash materials have been upgraded, and the center console has been redesigned. This addresses an area the experts at TheCarConnection.com have contended needed work since the car's introduction. The cup holders have LED lighting, and the seats wear new cloth. Also, the poorly located cruise control stalk has been repositioned to the four o'clock place behind the steering wheel. 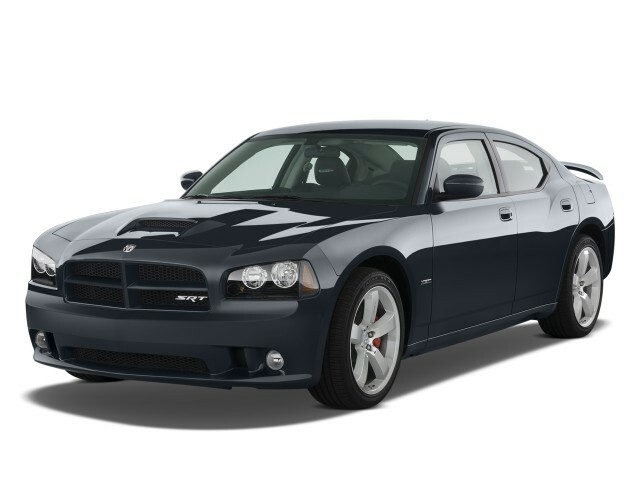 True muscle-car performance only comes to the HEMI-equipped 2008 Dodge Charger sedans. If you're looking for a true "Dukes of Hazzard" driving experience, you'll need the R/T or SRT8 version of the 2008 Dodge Charger. Otherwise, it's a pretty sedate family sedan in a muscular-looking package. The base model of the 2008 Dodge Charger comes with a 2.7-liter V-6 and four-speed automatic transmission--enough for everyday driving, and mileage that isn't too bad at about 28 mpg on the open highway. That's about it, however. Moving up to the next most powerful engine, a 3.5-liter V-6, Kelley Blue Book reports that it "delivers enough power to have a little fun." If you long for power but want to spend less time and money at the pump, you might consider the 2008 Dodge Charger R/T with a 5.7-liter V-8, which puts out a respectable 350 horses. 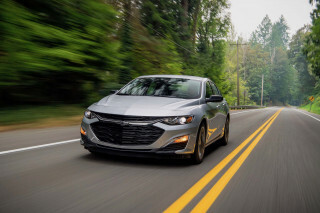 Road & Track says it uses 20 percent less fuel due to its "Multi Displacement System" that shuts down half of the pistons at cruising speed, allowing it to run as a four-cylinder and increasing average mileage to the 20-mpg range. 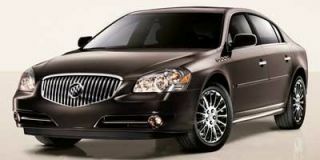 Again, however, it comes at a cost, which is about $7,500 above that of the base model. If you have any hope of having a real "muscle car" experience, however, you'll have to go with the SRT8 Charger; Dodge equips it with a top-of-the-line 6.1-liter HEMI V-8, which Automotive says provides "thrilling passing punch and throttle response." It will shoot to 60 mph in about five seconds and has a top speed of about 150 mph. However, that extra power comes at a heavy fuel cost; the SRT8 gulps down an average of one gallon of fuel every 14 miles in the city (20 mpg on the highway) and is "saddled with a $2100 Gas Guzzler Tax." ForbesAutos recommends that “if you live in cold climates, consider buying an all-wheel-drive” Charger. Dodge’s stopping power, according to Car and Driver and Automotive, is nothing short of superb. For what it is, the 2008 Dodge Charger is comfortable enough for the longest days of traveling. 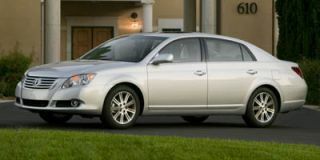 While TheCarConnection.com notes sources stating that lateral seating support is lacking at high speeds on twisting back roads, overall comfort levels in the 2008 Dodge Charger are well above average. With the original Charger, Dodge was big on brute strength and performance, but short on comfort (which wasn't really the point, after all). Its descendant, the 2008 Dodge Charger, is "packaged with modern creature comforts...it rides, turns and stops as well as it goes," according to Automotive. In terms of structural integrity, Car and Driver acknowledges that when they "encountered Michigan's Baghdad-quality potholes...the platform held as firmly and shiver-free as a bridge abutment, and no subassemblies rattled or squeaked." The 2008 Dodge Charger performs well when outfitted with a full complement of airbags—but they’re optional on the base model, and the Charger still only rates “marginal” for rear impacts. The 2008 Dodge Charger performs well in crash tests from the federal government, but the insurance industry takes issue with the crash performance of the base Charger, which doesn’t get all the safety gear of high-end versions. Standard safety gear includes dual front airbags, anti-lock brakes, traction, and stability control on the Charger. Dodge makes side and curtain airbags an option on the base version. The 2008 Dodge Charger actually performed well in crash tests carried out by the National Highway Traffic Safety Administration (NHTSA) and the Insurance Institute of Highway Safety (IIHS). Both gave this year’s Dodge Charger superior marks for frontal impact protection. The IIHS’s side and rear impact tests, though, showed that the Charger is "marginal" when outfitted with side airbags. Cars.com also expressed concern over the 2008 Dodge Charger's visibility issues: "the low roof and steep windshield can make it difficult to see some overhead traffic lights," and the thickness of the A-pillars--which can help protect passengers in rollover accidents--can limit side visibility as well. The 2008 Dodge Charger has some spartan versions—but lots of cutting-edge features are offered. The 2008 Dodge Charger is outfitted with lots of standard features. Options are comprehensive on the Charger; Dodge’s sedan gets pricey quickly with some high-tech features added to its interior. All 2008 Dodge Chargers get air conditioning, a tilt and telescoping steering column, AM/FM stereo with CD player and auxiliary iPod jack, and remote keyless entry. 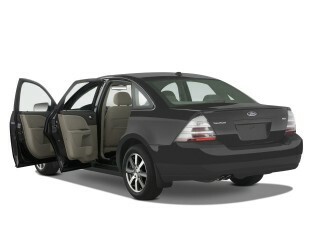 Cars.com says the Charger SXT adds an air-filtration device and a Boston Acoustics speaker system. HEMI-equipped R/T and SRT8 versions add sport seats, special badging and trim, and higher-end audio systems. Kelley Blue Book reports a plethora of other options that include Bluetooth, DVD navigation system, automatic dual-zone climate control, adjustable pedals, a power sunroof, and heated, power-adjustable seats. One of the more spectacular add-ons, according to Automotive, is the Sirius Backseat TV rear entertainment system, which brings a limited selection of satellite TV channels into the car’s backseat. Another option is MyGIG, which is a 20GB hard drive on which the user can store MP3s, video files, digital images, navigation map info--just about anything you can put on your home PC. I have the Dub Edition of this car and it is amazing to drive! It does have those moments sometimes, but overall this thing is a Speed Demon! Thanks!